Every wheelchair is designed according to a certain body type and has the capacity to bear a certain weight. While most of the wheelchairs are made for people with normal build and normal weight, there is also a need for wheelchairs for people suffering from obesity. For them, the averagely sized wheelchairs don’t usually work as they are narrow and their weight capacity is low for them. Thanks to the constant innovation in every field including the assistive medical aid equipment, we have wheelchairs with a higher weight capacity and a wider seat which can accommodate people who are heavier. These wheelchairs are known as the bariatric wheelchairs or heavy duty wheelchairs. Like all the normal wheelchairs, bariatric wheelchairs are available on the market in a large variety. They are available with different features, safety measures, and types. Like normal wheelchairs, the bariatric wheelchairs also have manual wheelchairs and automatic or powered wheelchairs. The best part is, like any other product, there is an option of a bariatric wheelchair for every price range. If somebody wants to go overboard with features and safety, there are pricey options and if someone wants a completely basic bariatric wheelchair, there are reasonable options as well. 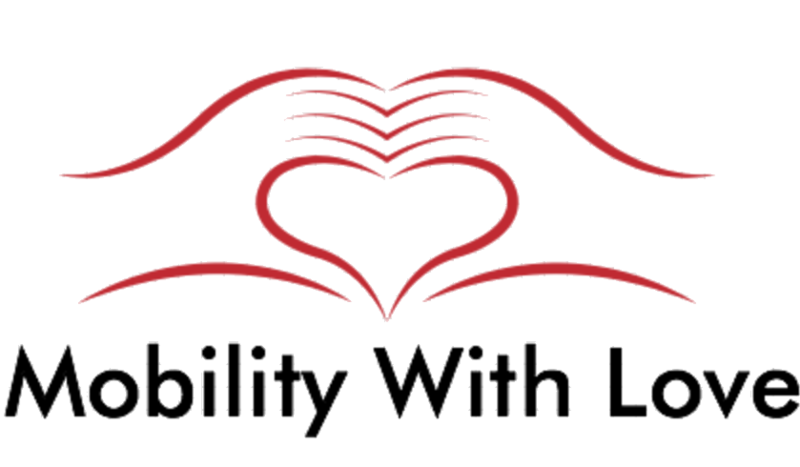 In this article, we are going to tell you everything you need to know about the best heavy duty wheelchairs on the market. Moreover, we have listed down the top 6 best heavy duty wheelchairs for you. What is a heavy duty wheelchair? Who can use a heavy duty wheelchair? How to choose the best bariatric wheelchair? A heavy duty wheelchair, in medical terms, is known as a bariatric wheelchair. As the name suggests, it is something for the aid and help of people suffering from obesity. Anyone who weighs more than 350 pounds comes under the bariatric category and need equipment specifically made for this purpose. If you look at the statistics, you will see that around 40 percent of the people in the US only is suffering from obesity. Which is why these heavy duty wheelchairs are needed. Basically, these heavy duty wheelchairs are wider and tougher than the normal wheelchairs. They have a higher weight capacity the bariatric wheelchair dimensions are larger compared with that of the normal wheelchairs. It helps the larger users attain all the benefits and aid them to retain their mobility. The users of the bariatric wheelchair can be mobile and leave the home and be mobile like everyone else. In the past, when the idea of bariatric wheelchairs was not implemented, people suffering from obesity and mobility issues had to stay home or compromise their safety by using normal wheelchairs. Bariatric wheelchairs have brought revolution by helping people with obesity to keep their mobility intact without compromising their safety. Since these wheelchairs are heavy duty, the first thing that comes to our mind is bulky chair, bulky seat, bulky tires and very hard to transport but the best part is, these wheelchairs are not at all bulky and heavyweight rather they are termed as lightweight heavy duty wheelchairs. These wheelchairs have padded armrests that can be adjusted according to the body shape and size of the user. Moreover, almost all of the wheelchairs have a seat to floor transfer option as well. 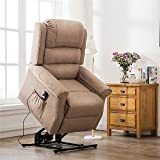 They are specifically designed to improve the safety and security of the user and to maximize their comfort with extra reinforcement and upholstery. 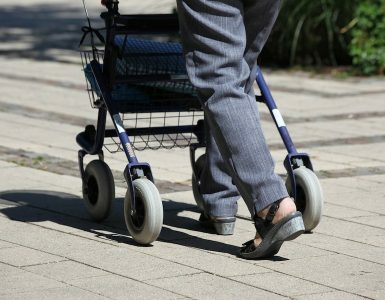 For anyone who is mobility impaired and weighs 100 pounds more than their required weight come under the obese category and will require a bariatric wheelchair. Another way to find out is with the help of BMI. If your BMI is more than 30, you might require bariatric wheelchairs for any kind of assistance with your mobility. These wheelchairs can be used by people with diseases like cardiovascular disease or cardiopulmonary disease. Apart from this, individuals with muscle weaknesses can use this. If you have weak bones or weak muscles, and you are overweight, you might have severe problems with your mobility. In these cases, the heavy duty wheelchair can assist you in staying mobile. If you are overweight and you use a normal wheelchair, you are only putting yourself in danger. Those wheelchairs are not made to carry very heavy weights which is why they can end up breaking and in return, you will end up injuring yourself. Even though these wheelchairs are known as the heavy duty wheelchairs that are not only wider but also have a higher weight capacity, there are variations in the wheelchairs. Some have a higher weight capacity, and some have a lower. Furthermore, this has to do with the sturdiness of the wheelchair, the heavier the weight it can bear the sturdier it is. Usually, the highest weight capacity of bariatric wheelchairs is 700 pounds, but this varies with the model. A general rule that is followed is that the weight-bearing capacity of your wheelchair should be equal to your weight plus 50 pounds. This not only keeps you in the safe zone but also helps if you have to carry something around. This is a very important feature that you need to look into while buying yourself a wheelchair. Since you have to carry your wheelchair around, it should be lightweight, there is no other way to this. Apart from being lightweight, it needs to be sturdy and durable. Although this combination is hard to find, it is a must in bariatric wheelchairs and some of the good companies have achieved the goal as well. Another thing that should be included in the construction is the portability of the wheelchair. In regular chairs, aluminum and titanium are mostly used but for bariatric wheelchairs, stronger steel is used by balancing the weight and sturdiness. You don’t need a wheelchair you don’t fit in, do you? Bariatric wheelchairs come in many sizes, some of them are even adjustable but the range of adjustability needs to be checked before buying a wheelchair. Usually, bariatric wheelchairs have a width between 18 inches to 30 inches. When you buy a wheelchair, make sure there is room for moving around or wiggling or else you will start feeling the lack of blood flow after a while. Another thing that comes in this category is the depth of the seat. This is the feature that lets the seat adjust according to your body. It should be such that you feel the support on your back and buttock area. you should not go deep into the chair. That is not good for your back. The last thing is the height of the seat. It should be according to the underside of your knee. The seat should not be lower than that nor should it be higher than that. Both these features are extremely important for you while buying a wheelchair. Since you will be spending hours on that chair, having ample support is extremely important. Keeping your back straight and your shoulders in proper position without a backrest and armrest are difficult and if you don’t keep them in proper position the risk of developing lower back problems escalates. (See also reclining wheelchairs ). Padded backrests and armrest also prevent any kind of pressure sore from developing. Some chairs come with adjustable armrests which help you keep your arms in position according to your body. This manual heavy duty wheelchair comes in a dandy color combination of red and black. Its weight-bearing capacity if 450 pounds which are usually enough for most of the people. It is completely portable as it can be folded and stored anywhere. When folded, its width is 12 inches and when opened its total width is 30 inches. It comes with a seat belt which increases the overall safety. It has footrests added which can be swung away as well. The dimensions are not compatible with short people. With a weight bearing capacity of 450 pounds, this wheelchair has a dual reinforced structure which makes it very sturdy and durable. The frame and the cross legs both have reinforced metal used which keeps the wheelchair lightweight but improves the durability and sturdiness. The upholstery used is also very durable. It uses nylon seats which don’t tear easily and provide the required support as well. At the back of the wheelchair, there is a small pocket as well for carrying necessary items. 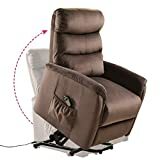 It has 22 inches area for the user to sit in. It comes in a dandy clue color with black upholstery and black padded armrests. It has reinforced metal used which improves the safety. It is lightweight and easily transportable. It is compatible with all heights. The brakes are not very efficient. Although this wheelchair is a little expensive, its high-end features make it one of the best heavy duty wheelchairs on the market. It has desk arms which are basically small desks or plates along with the armrest that can be flipped up and used for putting coffee, tea or other stuff. The brakes added are NOVA’s patented brakes that are known to be efficient and perfectly workable. The chair is completely portable and can be folded into a very reasonable size that makes storing and transporting quite easy. It has a wide seating area of 22.5 inches and can bear weight up to 400 pounds. The back of the wheelchair is 17.5 inches which are perfect for a person with normal height. It has arm desks which turn out to be very useful. 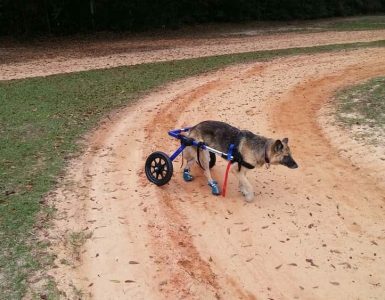 The brakes of the wheelchair are very efficient. Can be folded to a reasonable size. The footrest is not very stable. This wheelchair has made it to the best heavy duty wheelchairs because of the high-end features it provides at such a reasonable price. The frame of the manual wheelchair is made with carbon steel that is treated for rust and corrosion hence, making it very durable and long lasting. The upholstery used is vinyl upholstery which can be cleaned easily. It comes with a small pocket for keeping some essentials. 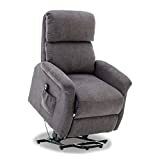 Apart from this, it has padded armrests and padded calf rests as well which makes the whole experience more comfortable. The leg rests are also elevatable which helps in the blood flow. The total weight capacity of this wheelchair is 500 pounds. It has a separate chart pocket. The padded calf rests and leg rests are elevatable. The weight capacity is 500 pounds. The upholstery is easily cleanable. It is very tall for normal people. This electric heavy duty power wheelchair is very expensive but gives the user the best and most comfortable mobility experience. It is not only very comfortable but is also very easy to use and store. With a compact and lightweight designs, its total folding time is 5 seconds. It can fit in small places like trunks of small cars. It is made with aluminum alloy and that is why its very durable. The footrest is permanent and cannot be removed or tilted. It is equipped with two motors both with a capacity of 250 watts. Which is why it can turn and move on any surface easily without any difficulty. The best part is the shock absorbers that are added to the wheelchair to keep the user safe. The design is dandy and stylish. It is 9 times the price of a normal wheelchair. The weight capacity is only 396lbs. 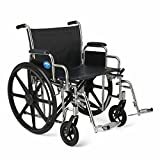 This basic but very useful and sturdy wheelchair has made its way to the best heavy duty wheelchairs on the market due to its shiny chrome finish and durability. The frame is made with carbon steel and is coated with chrome three times to make it rust and corrosion resistant. 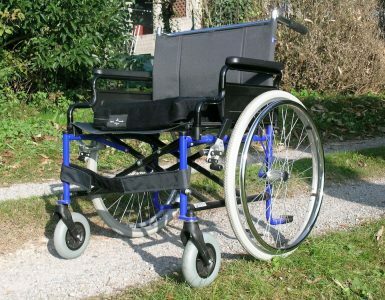 The chair can be adjusted according to the user and also has standard transition axle. The wheels used are very durable and have extra traction which helps in keeping the user safe by preventing skidding and slipping. It has a maximum weight capacity of 450 pounds and seating area of 19 inches. The transition axle makes transferring of the patient very easy and convenient. The wheels and brakes of the chair don’t need any maintenance. The seating area is neither very small nor very large. Sometimes the wheels get stuck while rolling. 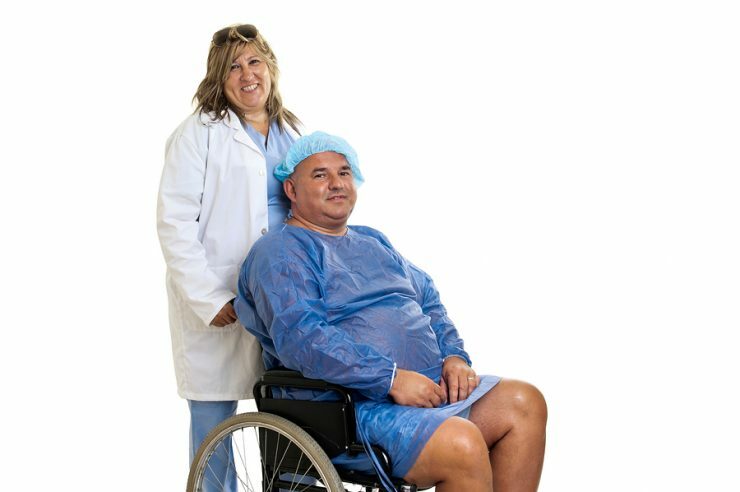 Bariatric wheelchairs are a very useful innovation in the world of wheelchairs and have helped a lot of people since obesity is prevailing in the world nowadays. Thus, these wheelchairs are a very important part of the medical assistive aid. In this article, we have explained all there is to know about the bariatric wheelchairs and have listed down the best heavy duty wheelchairs for you. Reading this article will assist you to find the best bariatric wheelchair for yourself.